This extraordinary, Tommy Waters, Haile Plantation, pool home is the perfect blend of elegance and easy maintenance living. It features a gorgeous, great room floor plan with gas fireplace, high ceilings, and an open kitchen. Enjoy upgraded stainless steel appliances, including a gas range, solid surface counters, wood cabinets, screened lanai, a pool, A rated schools and landscaping is provided by the HOA . 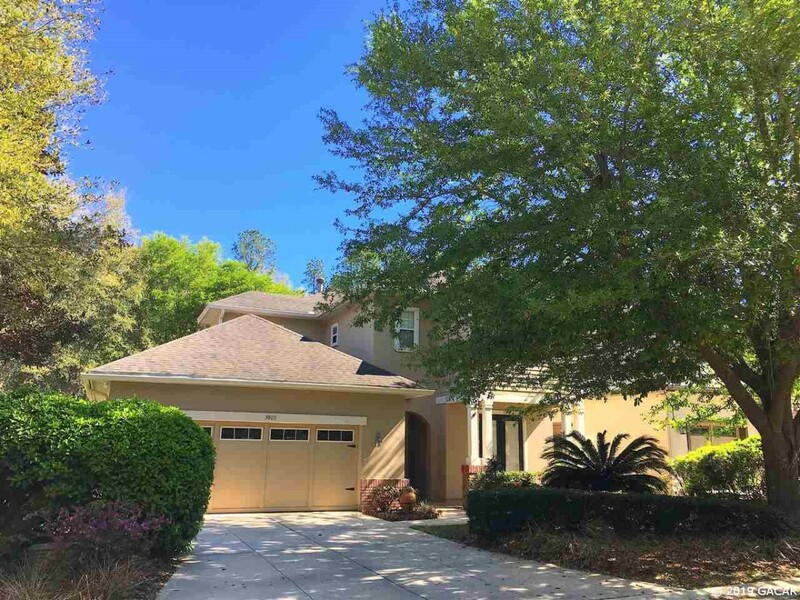 Additional highlights include 2018 interior paint, an extraordinary location walking distance to the Haile Village and the Market Square Publix and an easy commute to Shands, UF and North Florida Regional. The master BR and 1 guest BR are downstairs, two other guest BR's and a study nook are upstairs.